The Fed will likely pause interest rate hikes at its policy meeting this week. The Federal Reserve (Fed) meets this week, culminating in its rate decision on Wednesday, January 30. We expect the Fed to pause in response to slower global growth, trade tensions, and market volatility, although we believe at least one and possibly two more rate hikes are likely before the end of the cycle. At the same time, we recognize the possibility that the Fed’s December hike may have been its last. Below, we’ll discuss potential stock market implications if the Fed is done, or nearly done, hiking interest rates. 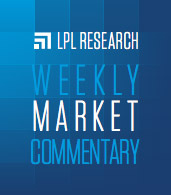 For more of our thoughts on the upcoming Fed meeting, please see this week’s Weekly Economic Commentary.